The Townsend Queen Bedroom Group by Legacy Classic from Bullard Furniture. We proudly serve the Fayetteville, NC area. Product availability may vary. Contact us for the most current availability on this product. Inspired by tradition with flairs of modern and rustic style, this collection of furniture will help you feel right at home in your home. Throughout this collection, you will see canted edges and thick molding that create a sense of depth in each piece. 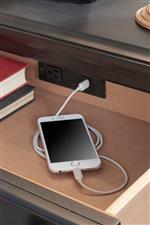 Bringing modern convenience into your home, you will also see outlets with USB ports, ample storage and more in this collection. Enjoy these pieces for years to come with this simply ageless collection. 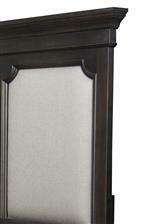 The Townsend collection is a great option if you are looking for Transitional furniture in the Fayetteville, NC area.